During the Peter Jackson series a few years back now there were 2 Americans that came and raced in the TraNZam series. 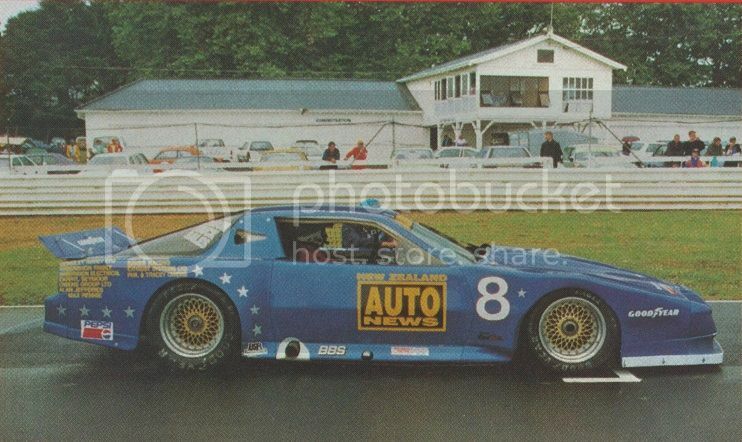 Chris Kneifel ran a blue Porsche 944 and Scott Lagasse ran a blue Pontiac transam. Does anyone know what the deal was with this. Were they local cars or brought over from the states? any pics or info would be much appreciated. I think they only came for one season. 1992/3 season ? 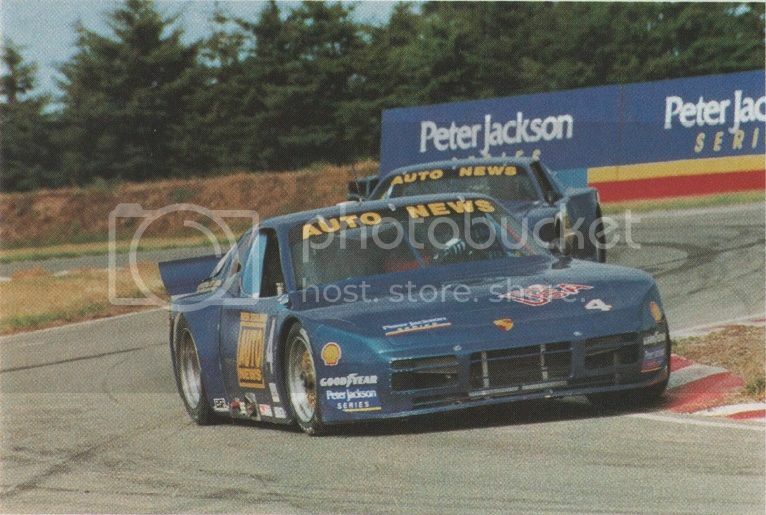 I recall that the 944 was an ex Imsa car that would,nt run for too long (engine). One of the Formula Atlantic teams had a Guy from the states who went by "Jimbo" (great guy) who was an engine guy ,fussed with the thing for a little bit and got it running. You can find Chris though facebook if thats any help. The Lagasse car is still raced in OSCA by Chris Hatton. Talking with former owner, Paul Williams, I understand it was very trick underneath. It sure blew me away on the back straight at Wigram when I was running my 12A rotary OSCA car!!! Think Kniefel ran a Pacific car on earlier visit. he was a tall rooster and did not look right in a Pacific. Some one can confirm that. Maybe it was a dark Blue colour. Is this the Trans Am now, at Ruapuna 2011. No, that is a Brennan built car from Invercargill, whose name escapes me. Help please JacMac (Senility is my excuse). The Hatton car is currently black with a gold roof. 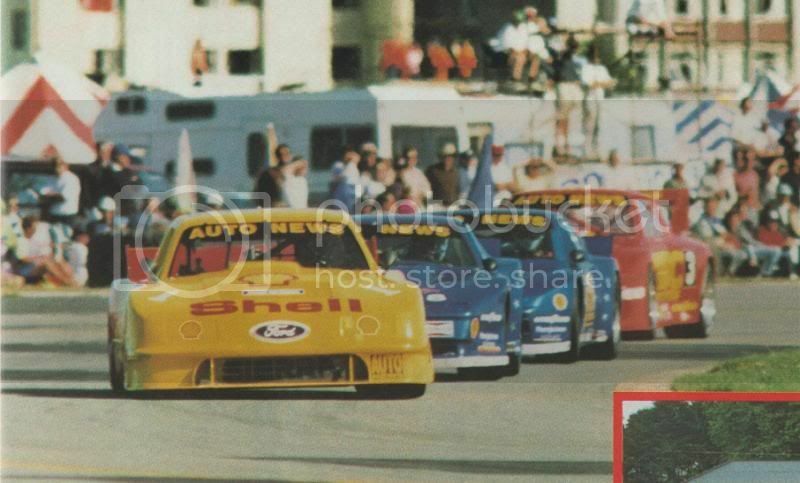 I was racing OSCA at that time and remember the Wigram meeting well. The meeting was televised. 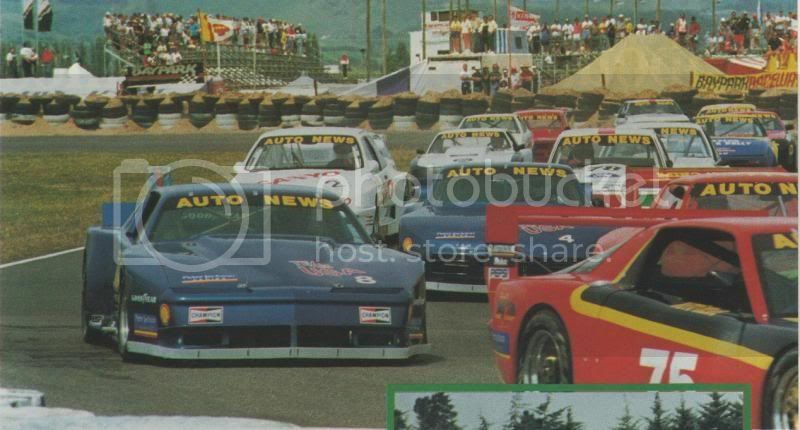 I had been dicing with Dave Robertson in his hemi powered Avenger, and on TV it showed Scott passing Dave half way down the back straight, going about 100km/hr faster. The speed difference between front and mid field!! Didn't former Dunedin'er Bruce Jenner have something to do with the cars coming over here? Yep sorry you right, that was Grants old car, saw it later at Teretonga as well. remember the black one at Ruapuna and chatting to guy. (think it had for sale sign on it) may have photo somewhere. Yes I'm very sure Bruce Jenner was the main organiser behind the two cars coming over. Mark Petch through Auto News also helped out and if memory serves me correctly, there were full page adverts in Auto News for a number of months trying to get financial support for their visit - hence all the small writing on the back of the Camaro in the pic above. I'll have a look and see if I can find the ad. Memory returned. The red Camaro belongs to Laurance Knowler. I believe that it was built especially for him. I was Clerk of Course at Timaru when Bruce Jenner aka Jellybean ex Dunedin brought the team out from the States. As part of their awareness program at Timaru they had a contest via the radio station that resulted in the winner being a guest of the team for the duration of the race meeting and as Bruce told me late on the Sunday night this 14 year old kid that won it was an absolute asset to them as they had a number of difficulties during both the build up as well as during the meeting and the kid took them to engineering shops who dropped what they were doing to machine items for them, could find various parts suppliers at the drop of a hat, could score use of equipment FOC, knew who to see and where to find them, an absolute gold mine in every respect. Mind you I would have been very disappointed if he couldn't as it was our #2 son Simon. Yep after another look, that's name on rear window. Grants old car was there that day as well. So did the Porsche ever beat the Firebird? Thanks Tony, remember the extended roll hoop. He just did not look right in the car.